Boost Your Health with the Power of Vegetables. VEGGIE HERB is a line of products that contain the vital essence of plants scientifically extracted to bring the power of nature to urban life. VEGGIE HERB is produced by Tokiwa Phytochemical Co., Ltd., a company which is renowned throughout the world for its specialised work on phytochemical processes. 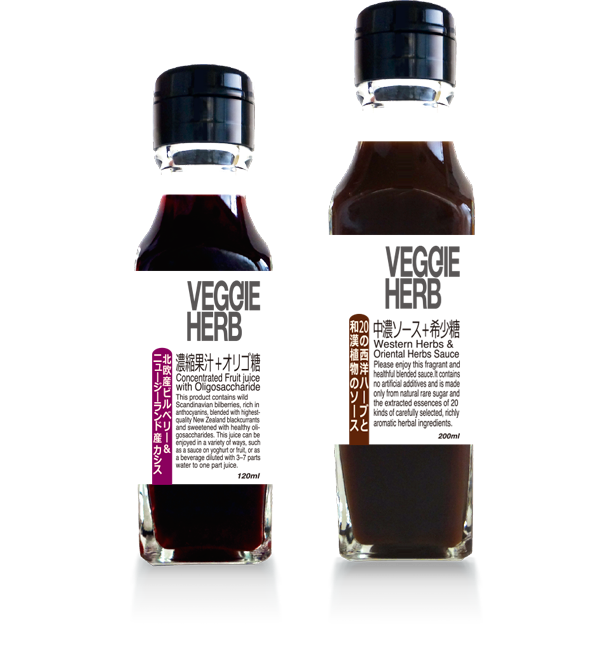 VEGGIE HERB is now available in three forms: ‘Yakuzen’, ‘Semi-thick Sauce’, and ‘Concentrated Fruit Juice’. Each is made from a special blend of vegetables and herbs that are carefully selected for quality and safety. 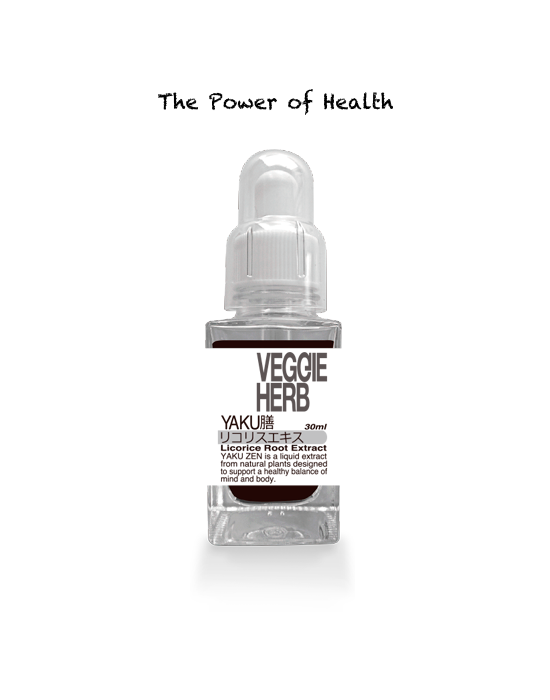 Yakuzen is a liquid extract from natural herbs designed to promote a healthy balance of mind and body. 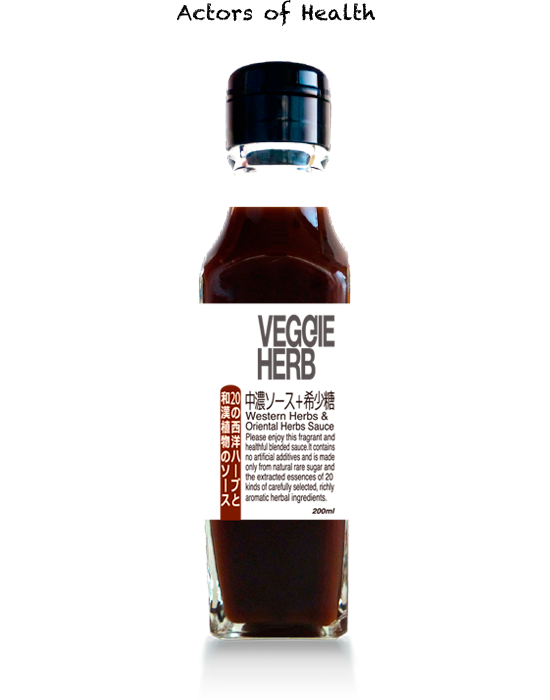 Made using the traditional extraction method, it is a smooth liquid that readily dissolves in water. Dissolve one drop of Yakuzen in a glass of water and enjoy it as a health beverage. 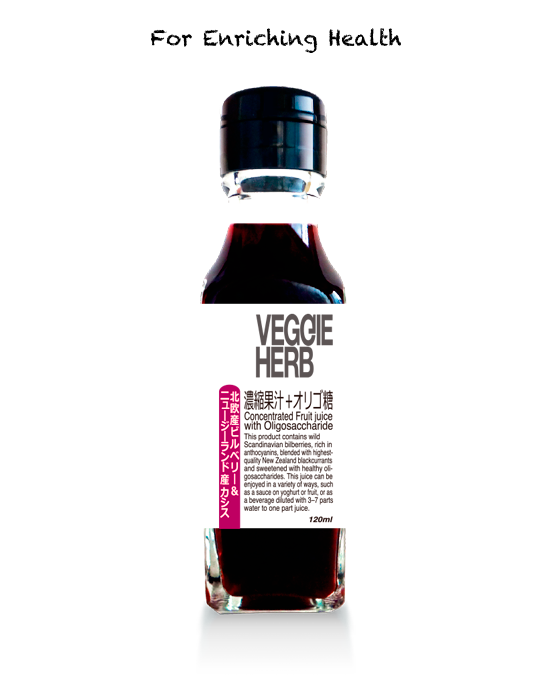 Or use it as a secret ingredient in sauces and curries. Licorice has been widely used in traditional Chinese medicine, as well as for everyday dishes. This product contains wild Scandinavian bilberries, which are an abundant source of anthocyanins, blended with highest-quality sour New Zealand blackcurrants and sweetened with healthy oligosaccharides to create a juice with a graceful flavour. This juice can be enjoyed in a variety of ways, including as a sauce on yoghurt or fruit, or as a beverage diluted with 3–7 parts water to one part juice. Oligosaccharide is a kind of sugar that is much less absorbed than other sugars and increases good bacteria by reaching the large intestine. Oligosaccharides are friendly sugars that support intestinal environments. Please enjoy this fragrant and healthful blended sauce. It contains no artificial additives and is made only from natural rare sugar and the extracted essences of 20 kinds of carefully selected, richly aromatic herbal ingredients.